Jim O'Neil will be an NFL defensive coordinator for the first time. 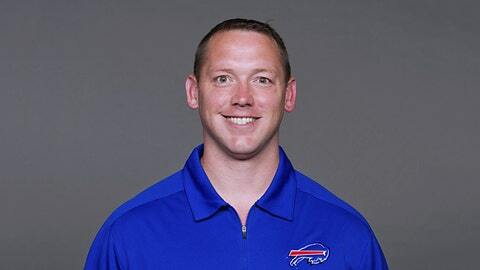 CLEVELAND — Browns coach Mike Pettine hired Jim O’Neil as his defensive coordinator on Monday, reuniting him with the coach who helped him turn around Buffalo’s defense last season. Pettine also retained special teams coordinator Chris Tabor from Rob Chudzinski’s staff. In addition, Pettine plucked assistants Chuck Driesbach (linebackers), Brian Fleury (assistant linebackers coach) and Jeff Hafley (secondary) off the staff he worked on in Buffalo as defensive coordinator. Pettine made Brian Angelichio, who spent the past two seasons in Tampa Bay, his tight ends coach and kept Bobby Babich (assistant secondary coach) and Shawn Mennenga (assistant special teams coach) from Cleveland’s previous staff. O’Neil was Buffalo’s linebackers coach last season, his fifth straight with Pettine. They were together in New York, spending four seasons on Rex Ryan’s staff with the Jets. Pettine’s connection with O’Neil predates their time in the NFL. O’Neil played for Pettine’s father, Mike Sr., in high school. With the help of Pettine and O’Neil, the Bills set a franchise record with 57 sacks, second most in the NFL. Buffalo finished 10th (333.4) in total defense, after finishing 22nd in 2012. The Browns have reportedly expressed interest in former Titans offensive coordinator Dowell Loggains. He could be hired as coordinator or perhaps coach quarterbacks. The 33-year-old Loggains spent six seasons with Tennessee. He was the team’s offensive coordinator this season, but was not retained by new coach Ken Whisenhunt. Loggains also interviewed with the New York Giants, who hired former Green Bay quarterbacks coach Ben McAdoo as their offensive coordinator.